They call them their “Super Juices” because of their high concentration of antioxidants. 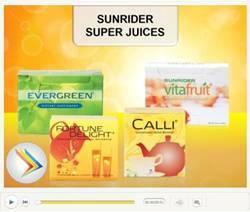 For a summary of the ingredients of each of these products, their daily values of important nutrients and their benefits please click the image below to watch a short video. You will be amazed!